The first-ever train service in the world exclusively for women completes 25 years on Friday. Western Railway will celebrate the silver jubilee of its ladies special trains with roses and chocolates for its patrons. 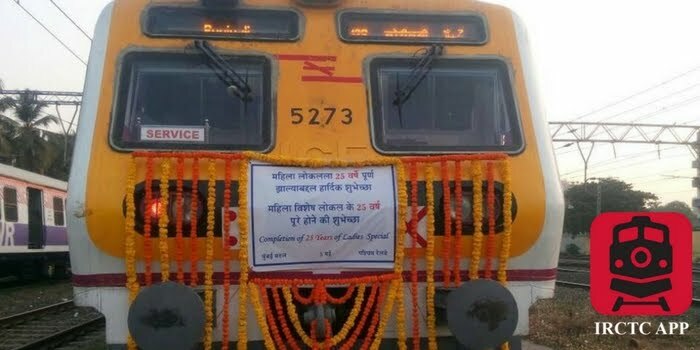 "It was a historic moment 25 years back when the first ladies special was introduced between Churchgate and Borivli on May 5, 1992, and the route was further extended to Virar in 1993," said WR chief public relations officer Ravinder Bhakar. "The ladies special was a boon for working women who struggled to board ladies compartments in regular trains. Dedicating an entire train to women meant they could travel more comfortably," he said. The WR runs four ladies special trains in the up direction towards Churchgate during morning peak hours, and four from Churchgate station in the evening. Several women have made groups of friends on the ladies special. "We chat regularly and know most co-passengers personally and also their background and profession," said a commuter. Shreya Kulkarni, another passenger, said these trains get huge crowds at Dadar and Andheri stations. "But for those who board from stations situated between Churchgate and Dadar, there is sometimes a possibility of getting a seat. This may not be possible in the ladies compartment of a regular train during peak hours," she said. Bhakar said, "The WR has installed CCTV cameras in almost 60 ladies coaches. The talk-back system is a new security measure introduced this year, on the occasion of International Women's Day. It has been installed in all the ladies coaches of two suburban rakes, as a pilot project. In this system, a two-way communication can be established between a commuter in any of the ladies coaches and the guard of the train in the event of any emergency by pressing a button on the unit."